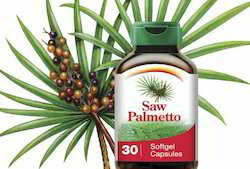 As a leading name in the market, we are offering Saw Palmetto to our clients. Saw Palmetto and Nettle Root Capsules is a dietary product manufactured in technical collaboration with Hawaiian Herbals, Hawaii USA. It is HALAL and Kosher certified product and has been produced under GMP guidelines. It is an exclusive formula comprised of botanical extracts of Saw Palmetto and Nettle root which may help to maintain a healthy prostate and normal urinary flow. Ashwagandha Root Extract Drops is first time launched in India by Kai Mlm India, an ISO 9001:2008 certified company, in partnership with Hawaiian Herbals, Hawaii USA. It is 100% natural, HALAL & Kosher certified product and has been produced under international GMP regulations. in preventive treatment for baldness. 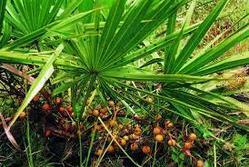 Our company is the leading company known for providing Saw Palmetto to the clients. This product is widely used in different types of traditional medicines that are used for treating benign prostatic hyperplasia. Saw Palmetto is quality checked by our professionals on numerous quality stages before the final delivery. It is HALAL and Kosher certified product and has been produced under GMP regulations. It is an exclusive formula comprised of botanical extracts of Saw Palmetto and Nettle root which may help to maintain a healthy prostate and normal urinary flow.